It’s late at night here in Fife and I can’t sleep. So I do what many Western twenty-first-century twenty-somethings do – I end up on my computer, browsing the internet. Tonight I am especially glued to the computer with the Phillies-Cardinals game going on. If the Cards lose tonight they’re out of the playoffs, so I desperately want them to win in order to keep the prospect of a Cardinals-Tigers World Series alive. For those who are unaware, the World Series rivalry between the St Louis Cardinals and the Detroit Tigers (my favourite team) spans nearly eighty years. The first time the two teams played each other in a World Series was in 1934, with the Cardinals taking the series in seven games. They met again in the 1968 World Series, which the Tigers won in seven. They last met in the 2006 World Series. After having defeated the Yankees and Athletics in the playoffs, the Tigers went on to lose the World Series to the Cards in five games. So in the [unlikely] event that both the Tigers and the Cardinals win their respective league titles and end up facing-off in the World Series, well, I will be an excited young man. But the Major League Baseball 2011 postseason is not why I am compelled to share a few thoughts in a blog post. The answer to that ‘why’ is sitting right here in front of me…literally…on my lap. Yes, I am a ‘Mac user’, and tonight, as has been made clear from the incredible flood of identical status updates on Facebook (yes, I am a ‘Facebook user’), it was announced that Apple co-founder and former CEO, Steve Jobs has died at age 56. 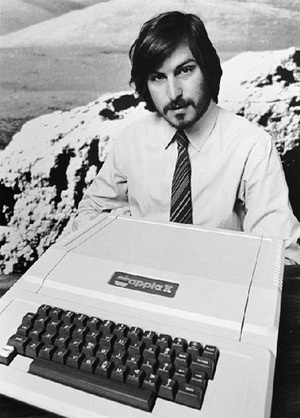 Not only was Steve Jobs the official technological outfitter of hipsters, he was a proto-hipster. Without a doubt Jobs’ death will be the talk of the town tomorrow. Whether you loved him, hated him or found yourself generally apathetic toward him, Jobs has had a significant role in the daily lives of a great many people over the last few decades. When I initially heard the news of his death I figured that enough people are writing about this, why make my own feeble attempt to eulogise, inadvertently adding to the cloud of ‘We’ve lost a visionary!’ chat? While I have admitted to being a ‘Mac user’ I have neither a literal nor figurative Apple tattoo. I am not especially wowed by Apple Keynote addresses. I certainly don’t trouble myself with the false ‘need’ to possess a wide array of Apple products. To be honest, it’s all very expensive and even if I had the money part of me doesn’t think that it would be especially responsible to indulge in consumer electronics. But I have owned several Apple products. As a child my family had an early Macintosh (we weren’t cutting edge or wealthy, but I’m pretty certain it wasn’t stolen either). All throughout my school years we used Macs in computer labs. I first learned computer programming on a Mac. When I went to university I used my extra scholarship money to buy my first computer – a 12-inch iBook G4. A few years later that laptop’s display went kaput and I eventually upgraded to a black MacBook, the very MacBook that’s sitting on my lap now, four years after that purchase. A couple years ago a certain Greg gifted me with some money, in celebration of my birthday/embarking on my PhD, meant specifically to assist my purchase of an iPod. I only tell you this incredibly boring history of my Apple product experiences to highlight how my life actually is affected by the influence of Steve Jobs on a daily basis. In a way I feel sort of dirty for thinking so much about this. Nearly one billion people in the world don’t have clean drinking water, let alone a computer, let alone an expensive Apple computer (granted, I’ve never owned the ‘high-end’ Apple products). It’s very evident to me that I should change my lifestyle, but I’m not going to pretend that I don’t make extensive use of my Apple products. My Macs have brought me through university degrees, have been the means of countless designs (like the designs you see here at LITC), blog posts (like this one), letters, mix CDs, recording songs, etc. I don’t necessarily need to do all of these things on a Mac, but I have a Mac so I do. And the iPod – unless I’m spending uninterrupted time with people it is a very common feature of my day. I estimate that I probably use my iPod for, on average, two hours a day. I don’t necessarily need to listen to music on an iPod, but I have an iPod so I do. My point is not to make some profound argument about how the world would stop without Apple – it wouldn’t. My point is not even to make some profound argument about how my life would be drastically different without Apple – it probably wouldn’t. But the vision of Steve Jobs, a man who was genuinely passionate about innovation (and genuinely good at selling it), is the fuel behind the success of Apple, success that cannot be reduced to mere monetary units. The Jobs-led Apple set the bar for other manufacturers (yes, this is a mild endorsement of one aspect of a capitalistic system). Even though Apple didn’t invent the MP3 player, they dramatically changed the way that our society experiences recorded music. Aside from the technical innovations, Apple also brought a high aesthetic quality to the realm of electronics. Why can’t our electronics be both functional and pleasing to the eyes? It’s quite depressing to think about reducing a human being to a brand. The media outlets will soon be publishing frightening news about how Apple’s success will decline because of Jobs’ death (which isn’t that frightening even if it was true). Part of me finds this sort of revolting – Steve Jobs was a man with his own unique personality that, in theory, extends beyond the confines of a business, even a business as large as Apple. But then another part of me realises that Apple was very much at the centre of Jobs’ life and he liked it that way. Apple was not merely a business venture, but an invaluable outlet for Jobs’ vision and self-expression. Apple is not dead and will continue to produce excellent innovations, but I don’t think that trajectory could have been so successful without the creative leadership of Jobs. Steve Jobs wasn’t my friend and I generally do not have a great deal of respect for large companies and their leaders, but all-in-all I think he might have been something like an artist, and a great artist at that. For someone I never knew and never followed with any sense of dedication, somehow I think I’ll miss Steve Jobs (or as I like to call him, ‘Esteban Trabajos’, with affection). Thanks for sharing so many good things with the world, Steve. We here at Lost in the Cloud salute you and will think of you as we experience the blessings of our MacBooks and iPods (and Greg as he uses his iPhone). Cards won the game, by the way. An obituary would be rather unnecessary as there are so many about. Even if I wanted to write one there is no proper way to explain how the world is any different without J.D. 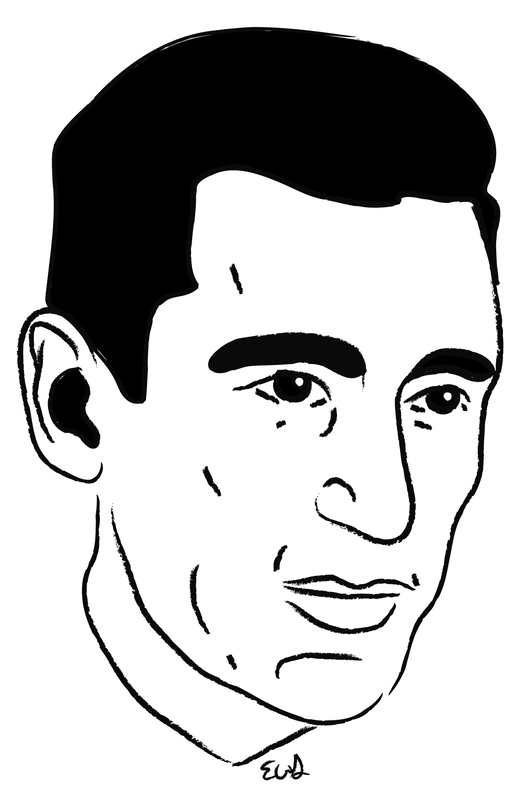 Salinger – the highly secretive author had not published anything since 1965. I had hoped to meet him at some point, a child-like hope in the face of high improbability, which has now effectively morphed into impossibility. Salinger now dwells among the likes of William Faulkner, Flannery O’Connor and John Gardner – the American writers with whom I would love more than nearly anything to have a conversation, but never will. I’m certain that Greg shares my sentiments. Salinger was a genius storyteller. Perhaps this is due to the way in which he so precisely enters into the minds of his exquisitely developed characters (and in doing so makes his way into our minds). Salinger often employed a special tactic in his writing which keeps it dynamic and captivating: he wrote almost exclusively about or from the perspective of the young. Part of this approach is reflected in the fact that Salinger’s rhetoric never stoops to exhaust his vocabulary. While this has been used by critics to reduce Salinger’s audience to those in their teens and early twenties, I believe his writing very deliberately utilises the perspective of the young in order to communicate the constant liminality of life and the tension it brings. In such a way, when we read Salinger’s works we are not reading mere stories, but we are invited into a tangible and magical world that can make even the most common event beautiful, profound, revelatory and sacred. Nine Stories (1953) – For years it’s been a dream of mine to write a screenplay for a feature film version of ‘The Laughing Man’. Thank you Elijah for noting with such tenderness the passing of Salinger. I hope it’s not presumptuous to add some memories. J.D. Salinger was quite a significant figure in my development as a human being. The scarlet and yellow-covered Catcher in the Rye holds a magical fascination in my memory – it was a sacred text to my best friend Wade and I. We even wrote a play together that was performed at my high school called ‘The Whole Aquarium’ as an exercise in adoring emulation of CITR. My first year in college, I remember wandering through the bookstore at CSULB and finding a copy of Franny & Zooey. I can clearly see myself reading it on the slope of lawn below the science buildings and thinking, “I don’t care about college–this is all that I want to understand.” His Nine Stories was an endless source of wonder and contemplation for my pensive post-adolescent musings – particularly ‘Just Before the War with the Eskimos,’ ‘The Laughing Man,” and ‘For Esme – With Love & Squalor’. I wrote a number of papers exploring Salinger’s stories as an undergrad; I just found one in my files which analyzes the story ‘A Perfect Day for Bananafish’ as a narrative version of the Zen Buddhist koan, “designed to activate spiritual insight in the mind of an ideal reader.” In my analysis, I saw the little girl Sharon Lipshutz, whom Seymour claims to “like…so much” as the ideal reader, being that she is “never mean or unkind” – unlike the critics and lit. profs who took apart & psychoanalyzed Salinger’s stories to death – and I posited that her name may represent a reader who simply keeps their “lips shut,” personifying quiet reflection. Salinger wondered in the dedication of his novella Raise High the Roof Beam, Carpenters “if there was an amateur reader still left in the world” and if so, he gave them his “untellable affection and gratitude.” I hope I never become too sophisticated of a reader to deserve these blessings, but I know that I will always remain deeply grateful for the power and influence of Salinger’s works on sensitizing my soul to the small delights, oblique insights and deep longing, never to be fulfilled in this broken world, found in his stories. Salinger pieces by two of my favorites: David Lodge & Dave Eggars. An article from The Onion.